Long curving Neck: Their avian heritage gives the Phuii a long curving neck which gives their head a greater range of movement than most species. This gives them a bonus 1D on Perception tests. Celerity: Their avian heritage means that Phuii are more used to moving at speed through the air than most species. This gives them a bonus +1D on Repulsorlift operations rolls. Jedi Mistrust: The Phuii people do not trust Jedi, believing them to be child kidnappers due to their history of taking force sensitive children away for training. Dagoyan Practices: The Phuii are a deeply spiritual people with a connection to the force. and a tradition of studying the force completely separate to the Jedi and Sith, Dagoyan. The Dagoyan practices of peace, meditation, and contemplation have become socially entrenched in the culture of Bardotta. Description: The Bardottan, also known as Phuii were a species of sentient, saurian bipeds with sagging, wrinkled skin. Their anatomy featured a long, swooping neck, lanky arms, and stubby legs. Some Bardottans had long tails, while others did not. Members of the species had a fleshy crest on top of the head and a pronounced growth under each eye. Their needle-pointed snouts were full of blunt teeth. The species hailed from Bardotta, a planet located in the Colonies region of space that was renowned for its spirituality. Over the millennia, Bardottans integrated into the greater galaxy, settling the gaming world of Phu. Most Bardottans abroad originated from the colony on Phu, and referred to themselves as Phuii. One of these was Nep Chung, a Vigo in the Black Sun criminal organization, who was killed in 33 BBY by the Sith Lord Darth Maul. Other Phuii entered the fast-paced sport of podracing. Among them was Mars Guo, regarded as an arrogant blowhard by his colleagues. 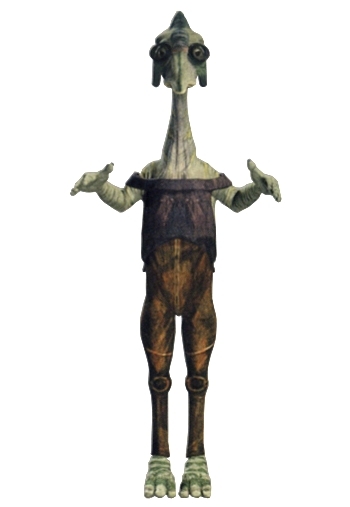 Guo entered the Boonta Eve Classic of 32 BBY, but he was taken out of the race due to the machinations of rival racer, Sebulba. Another Phuii podracer crashed and died during the Ungasan Cross Country on Ando Prime, and Chros-filik also podraced on the planet Tatooine. During the Clone Wars, the Phuii Jedi Ares Nune patrolled his home system as a general of the Galactic Republic; he was killed when the Separatist warship Malevolence ambushed his patrol. Bardottans were sentient bipeds with thin, saurian bodies. Members of the species were characterized by a long, curving neck with deep-set wrinkles running down its length; and by stubby legs that bent backward to allow the Bardottans to walk on small, three-toed feet. Some Bardottans had four fingers per hand, while others featured three. Although some Bardottans sported a long tail, others did not Bardottans ranged from about 1 and two meters tall at maturity. For locomotion, members of the species hopped from place to place. The Bardottan neck swooped forward to place the small head directly in front of the rest of the body. The eyes, located at the sides of the head, came in shades of red, orange, yellow, and white, with a blue sclera in some individuals. These were surrounded by heavy, baggy wrinkles with a fleshy growth under each. A narrow, dagger-like snout projected forth, filled with white, peg-like teeth and pink gums. From the area of the head between the eyes rose a fleshy, lumpy crest. This growth was bulbous toward the front of the head, but it shortened to two raised bumps along the top of the cranium before extending to a point at the back of the head. Other patterns of bumps and crevasses covered the sides of the skull. The wrinkled skin of the Bardottans featured shades of green, yellow, gray, and brown. Although some of the dinosaur-like beings had skin of a single hue, others had distinctive markings. For example, an individual might have had one major skin tone with another for the area around the eyes, the lips, the front of the neck, the belly, and other stripes and mottling. The Bardottans hailed from Bardotta, a planet in the Colonies region. Their homeworld was famed for its monasteries, places of learning, and ancient artifacts. Developing a society with a rich Force-tradition early on in their history, Bardottans were war-like demon worshipers in their earliest years, led by the Frangawl in worshiping Malmourral. When the Dagoyan culture came to power, the Frangawl religion was banned and the Dagoyan practices of peace, meditation, and contemplation became socially entrenched in the culture of Bardotta. The Dagoyan Order represented the religious aspects of the Bardottans, while the Bahk-tov Council and the Monarch of Bardotta presided over the government. All education on the world took place in Dagoyan schools, though belief in the tradition was not mandatory. Valuing knowledge and spiritual devotion, Bardottans were scholarly and insular when it came to outsiders and sharing their knowledge. All Bardottans were proud and independent, feeling shame when forced to ask for assistance. Cities on Bardotta were clustered around different academic and religious studies, studying in their own fields and sharing with other cities if asked. The right to education was earned through intense study and devotion, never handed out freely. Most Bardottans in the galaxy were from Phu, a world made famous for its gaming industry. The Bardottans of Phu were commonly identified as Phuii, both abroad and by themselves. Phuii were capable of using galaxy-standard technology. A style of clothing favored by several members of the species was a set of coveralls with horizontal straps that left the shoulders and upper chest exposed. A Bardottan could employ its beak to peck at an opponent in combat. 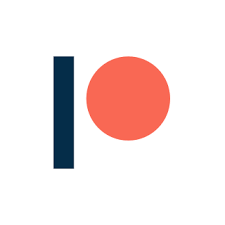 The symbol of the planet Phu was an orange crescent with a loop between its two points, set against a green field; the podracer Mars Guo flew this flag at the Boonta Eve Classic podrace of 32 BBY. Members of the species could speak Basic and Huttese. Phuii had two-part names. In some, the two elements were completely separate. Examples included Nep Chung, Mars Guo, and Ares Nune. Others hyphenated the two parts to form a name such as Chros-Fillik. The early history of the Bardottan people was a violent and war-like one. Ruled by the Frangawl, the tribes of Bardotta fought for dominance, finding strength in pain and torture. When the competing school of thought, known as Dagoyan gained momentum, they slowly dismantled the Frangawl way of life and expounded strength through intellectual pursuits and the arts. Banning the Frangawl tradition and converting their temples and holy sites into palaces and meditative retreats, the Dagoyans gained complete control over Bardottan culture and established themselves at the reigning force on Bardotta. 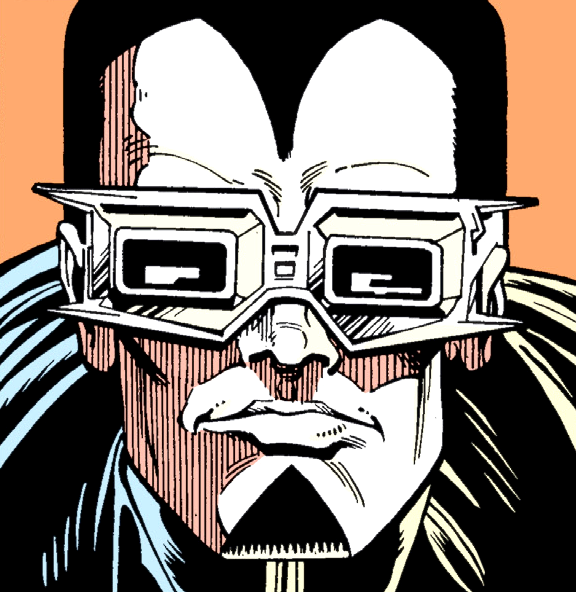 Under the leadership of the Bahk-tov Council, the planet elected a monarch who governed with the assistance of the Dagoyan Masters and the High Seneschal. Undergoing a brief era of expansion into the greater galaxy, Bardottans settled several worlds, most notably Phu. The Phuii first encountered visitors from another planet sometime between 5000 BBY and 3000 BBY. However, their world lay beyond the regions of space that were thoroughly integrated into the greater galaxy until at least the Clone Wars, which ended in 19 BBY. At the outbreak of the Clone Wars in 22 BBY, Phu lay beyond the borders of any supraplanetary entity, such as the Galactic Republic or Confederacy of Independent Systems. Despite this isolation, the Phuii Jedi General Ares Nune was assigned to patrol the Phu system for Separatist activity for part of the war. He came under fire from an unknown enemy—the Separatist ship Malevolence—and lost shields on his Star Destroyer, Laudable. He was killed along with his crew. A different Phuii served the Confederacy during the conflict, as a lieutenant aboard a starship captained by Commander Aviso. The population of the Phu homeworld fell somewhere between 10 and 100 million circa 25 ABY. The planet had fallen within territory considered part of Darth Krayt's Galactic Empire by 137 ABY. Despite their homeworld's relative isolation from galactic affairs, Bardottans spread from Bardotta to colonize several other worlds, most notably Phu from which they made their way into the greater galaxy. At least a decade before 33 BBY, the Phuii Nep Chung had become a Vigo in the Black Sun criminal organization. Chung and his Phuii bodyguard attended a meeting of the Vigos in the fortress of Alexi Garyn on Ralltiir that year to discuss the assassinations of two other Vigos. When the assassin, a Zabrak Sith Lord named Darth Maul, arrived to kill the rest of the Vigos, Chung's bodyguard confronted him along with other enforcers for the assemblage. Maul killed the bodyguards and continued into the chamber where Chung and the other Vigos were hiding. He then slew the Vigos as well. Some members of the species found employment in the fast-paced sport of podracing. One such Phuii was Mars Guo, who began his career in the minor rim leagues. He had proven a favorite in the Spice Mine Run of Mon Gazza, and he had just won the Baroonda Fire Mountain Rally when he moved up to the professional circuit with his entry into the Boonta Eve Classic on Tatooine in 32 BBY. Guo's slaves found him to be a cruel master, and his colleagues found him to be an egotistical braggart. This behavior got him into trouble the night before the race when Guo had too much to drink and hit on Ann Gella, an enslaved Twi'lek masseuse owned by a rival podracer, Sebulba. During the race, the Dug flung a piece of scrap into the engine of Guo's Collor Pondrat Plug-2 Behemoth racer. Guo crashed, and he was eventually placed in a medcenter. 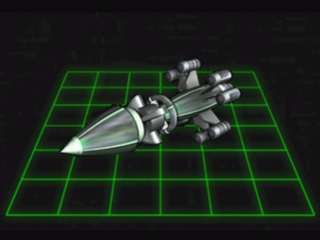 Another Phuii podracer entered the Ungasan Cross Country on Ando Prime sometime before 27 BBY. This racer fatally crashed in the Juaka Canyon. Years later, the remains of his pod were the site of a fight between the Twi'lek Ree and a group of Ando Prime's native Talids. 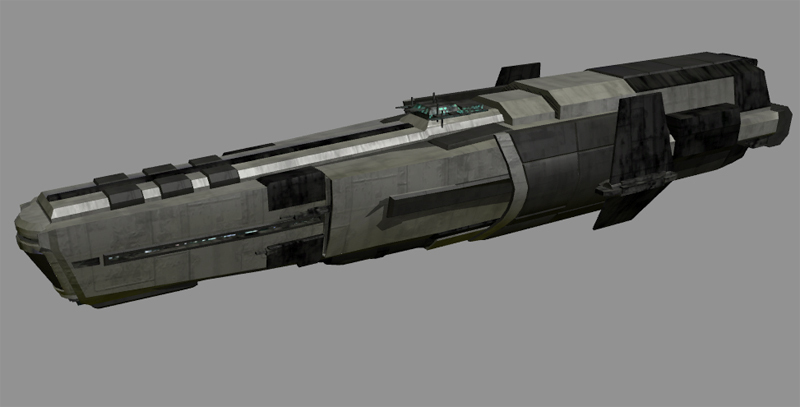 Chros-filik was another Phuii podracer active in the latter years of the Galactic Republic. He entered a race on Tatooine in 22 BBY.